We touched down at the Dallas Airport on June 19 to witness a historic moment, the delivery of the first F-35 JSF of the Turkish Air Forces with a teeming group of Turkish journalists who were on task after a long flight, in anticipation of the scheduled events and ceremony. Lockheed Martin prepared a busy schedule for us on June 20 - a day before the ceremony. Nearly 20 thousand employees work at the production facilities of Lockheed Martin - Dallas Fort Worth where F-35 Joint Strike Fighters are manufactured. We were informed that this facility, one of the most crucial production facilities of the American Air Force and the Army since World War II, has been conducting production for the United States Army since 1941 without interruption. All processes are being executed in a planned and complete management capability at the production and assembly lines which is 1.6km in length. There is no room even for a tiny mistake in this multi-partnered program. We once again witnessed the flawless organization and management capabilities of Lockheed Martin as we toured the facilities. The Lockheed Martin facilities press tour started quite early in the morning of June 20. Following our entrance to the facilities, Lockheed Martin Communications VP Joe LAMARCA shared the overall rules to be followed at the facilities as well as the flight to be executed with the F-35 simulation and the conference to be held with the F-35 pilots in general terms, and after this general information, the Vice President of F-35 Business Development and Strategy Integration, Jack CRISLER delivered information to the press members on the development and production process of the F-35 program, its capabilities, the milestones of the program, their strategies for the upcoming period and the cooperation between Turkey and US in the industry. Starting his speech by mentioning that they attained crucial milestones in the program in the previous year, CRISLER said: “We delivered the first three aircraft to the Norwegian Air Forces at the beginning of 2018. They received four more aircrafts since then and the number of the delivery to the Norwegian Air Forces reached seven. Also, the U.S. Marine Corps has completed their first deployment. Recently, the first F-35B STOVL aircraft have been deployed at the USS-WASP and USS-ESSEX LHD Vessels. We have completed the flight test portion of the system design and demonstration phase and we have begun the initial operational test and evaluation phase (IOT&E) of F-35 program. We will move onto full capacity production upon the completion of the IOT&E”. Underlining that they delivered the 300th F-35A aircraft manufactured as part of the program to the United States Air Force in the beginning of June, CRISLER added that they will be continuing to focus on achieving more affordable aircraft production. CRISLER also stated that one of the delivered F-35 aircraft has recently been utilized operationally under combat conditions. As per the foreign based news of May 22, 2018, it was claimed that the F-35 ADir in the Israeli Air Forces inventory conducted sorties to the determined targets in Beirut, Lebanon and that the F-35 aircraft was first utilized operationally in combat conditions. Stating that they conducted production in three different alternatives within the scope of the program, CRISLER continued, “We are executing production in a total of three different alternatives, the F-35A CTOL (Conventional Take-off and Landing), F-35B STOVL (Short Take-off and Vertical Landing) configuration and the F-35C Carrier variant manufactured for the United States Navy. As I mentioned earlier, we have delivered the 300th aircraft two weeks ago (in early June). These aircraft are being used in different regions of the world, at 15 air bases. Within the scope of the program, we reach 620 pilots and over 5,600 maintainers training and over 140,000 thousand cumulative flight hours”. Noting that they jointly conducted this program with eight partner countries, among which the United States of America and Turkey also remained, CRISLER added that Israel, Japan and the Republic of Korea will be procuring aircraft through Foreign Military Sales (FMS) program and that they externally contributed to the program. Within the scope of the program in which development and production in three different configurations are being conducted; the U.S. Air Force and Navy Forces have a commitment for a total of 2456 aircraft (USAF 1,763 F-35A and DoN 693 F-35B and F-35C configurations). One of the most crucial partners of the Program, the United Kingdom placed a commitment of purchasing 138 aircraft for the utilization of the Royal Air Forces and the Royal Navy. The aforesaid countries are followed by Turkey and Australia with an order of 100 F-35A aircraft, Italy with an order of 90 aircraft (60 F-35As/ 30 F-35Bs), Canada ordered 88 F-35 JSF, Norway placed an order of 52 F-35As, Netherlands ordered 37 F-35As and Denmark placed an order of 27 F-35As. In light of the information provided by Lockheed Martin, the number of aircraft committed to be purchased by the program nine partner countries in the beginning of the program was 3088; Israel, Japan and the Korean Republic joining the program externally and declared to procure 132 F-35As (Israel 50 F-35-As, Japan 42 F-35As, the Republic of Korea 40 F-35As). The total number of aircraft committed to be procured by the nine partner countries and three other countries declaring their purchase through the FMS program is recorded as 3220 in the shared information, while the exact number of orders is expected to increase in 2019. Clarifying the aforesaid issue during the briefing meeting Jack CRISLER said, “Currently we are conducting the production of the LOT-10 and holding various negotiations with the partner countries for the production of LOT-11 as well. Countries plan their budgets annually. For instance, Turkey approved the productions of LOT-12 and LOT-13. When we move onto Full Rate Production (according to the procurement process of the United States of America, full production rate is projected to commence with the LOT-13), we will initiate to multi-year contracts with many other countries”. According to Jack CRISLER’s presentation, a total of 141 aircraft will be produced in various configurations in the LOT-11 production phase expected to be completed within the last quarter of 2019. The total number of aircraft to be delivered also in different configurations in the Block Buy (LOT 12 - 14) production phase will be 442. The IOT&E stage that started in the first quarter of the year 2018 is expected to be completed in the first quarter of 2019. A significant amount of increase in production is planned with Full Rate Production which is envisaged to be launched in 2020. With the launch of the mass production phase, the countries are projected to increase the number of their final orders as well. The total aircraft quantities manufactured and to be manufactured during the LOT-1 and LOT-11 production phases were declared as 358; and according to the delivery schedule of Lockheed Martin production line, 266 aircraft were delivered to the aforesaid countries in 2011 - 2017. Following the delivery of 91 aircraft are planned to be accomplished in 2018, a substantial increase in production is expected with the year 2019. In accordance with the data provided by Lockheed Martin, 130 aircrafts will be produced in 2019, 145 aircraft will be manufactured in 2020, 150 in 2021, 150 in 2022 and 160+ aircraft will be rolled out of the factory in the year 2023. Previously, the unit cost of the F-35A in LRIP-10 production was declared as US$ 94.3 million, the cost of the F-35B was stated as US$ 122.4 million, and the cost of the F-35C configuration was announced as US$ 121.2 million, in the written statement made by Lockheed Martin in July 2018, it was noted that upon the contract signed for the sale of 141 aircraft between US Government and Lockheed Martin in 2017, the unit cost of the F-35A configuration for per aircraft reduced by 6%. Where the cost of the F-35 in LRIP-10 production was US$ 94.3 million, with this new contract, the unit cost for per aircraft was reduced to US$ 89 million. With the increase of the mass production phase which is expected to be launched in 2020 and the increase of the final orders of the countries, the unit cost of the F-35A is expected to be lowered to US$ 80 million by the year 2020. Stating that Lockheed Martin has made critical investments to the production line, CRISLER continued, “We prepared a blueprint in order to establish more convenient production conditions in 2015. We invested US$ 170 million through our own resources. We determined the production technique to be adopted, the materials and processes to be utilized in order to decrease the unit flyway costs. Blueprint for Affordability is delivering projected savings of more than US$ 4 billion over the life of the program and the US Government has initiated the second phase of the blueprint for affordability and is projected to save an additional US$ 2 billion over the life of the program. We always focus the affordability. We focused on the process following the launch of the operational service of the aircraft that is the sustainability process after the production as well. Similarly, we have been striving to lower the life cycle costs. With the assistance of the data collected via these aircrafts, in terabyte sizes, we are capable of identifying when the aircraft would be requiring spare parts. These data also enable us great advantage in reducing the faults emerged in a cost - efficient manner as well”. In his presentation, CRISLER also informed the participants on achieving the initial operational capability (IOC) of the delivered F-35 aircraft. Stating that the U.S. Marine Corps notified that they reached IOC in respect to the aircrafts they received, in 2015, CRISLER added that the USAF declared their achievement of the IOC in 2016 whereas the Israel Air Force (IAF) reached the IOC in the first months of 2018, a year after they received the F-35 ADir aircraft entering the inventory of the Israel Air Force. CRISLER added that they expected the Turkish Air Forces to attain the IOC regarding the F-35 aircraft within 2020. A tour was made at the assembly line following the briefing presentation. During this tour, F-35 Business Development Representative Kevin MCCORMIK provided comprehensive information on the processes for the aircraft on the final assembly line, wing line and integration areas. Noting that in the 1.6 km long assembly line, the part of the aircraft being manufactured in any configuration for any client and the completed portion of the manufactured part could be monitored in real-time in detail from the displays, MCCORMIK added that all the configurations and all the aircraft of every country remained in the same assembly line. Underlining that the aircraft moved from one section to another in three-day cycles, MCCORMIK shared that as of July 2018, the duration of these cycles would be reduced to two days. MCCORMIK noted that presently they are executing the production of eight - nine aircrafts per month, but as they launched the full rate production in 2020 they aimed to increase the monthly production capacity to 17 aircrafts. Commenting that the facility at Fort Worth was built in 1941, MCCORMIK expressed that they have launched activities to reinforce the foundation with steel structures for establishing an infrastructure strong enough to carry the F-35 aircraft, and additionally they are continuing the construction activities to add 12 new stations to the final assembly line. Emphasizing that they will make a transition to a daily cycle as of January 2019, MCCORMIK added that they are conducting a three-shift operation at the facility each day. MCCORMIK said that the period for the rollout of the aircraft from the production line, so to speak start and finish of the aircraft until the start of the customer’s possession took 36 months and continued, “The procurement of parts, systems and sub systems is accomplished for each aircraft to be produced within the first twelve-month period. The remaining 24 months are composed of the processes of assembly, system integration, test and delivery of the aircraft to the end users. Although we had accomplished to reduce this process from 24 months to 18 months, we still declare this period as 36 months as a precaution for unpredictable delays”. The products and components manufactured by companies such as Turkish Aerospace, AYESAŞ, KALE Aerospace and Alp Aviation were displayed over the aircraft to the participants at the tour, and the Turkish journalists closely examined the wing production of the AT-3 and AT-4 aircraft of the Turkish Air Forces in the wing production line. Catering to the the fifth generation fighter aircraft requirement of the Turkish Air Forces, Turkey, joined the concept development phase of the Joint Strike Fighter program in 1999. Within the following stage, Turkey was involved in the program’s system development and demonstration phase as a “level-3” partner which was valued at US$175 million in 2002. The Presidency of Defence Industries (SSB) and Lockheed Martin signed a contract to procure the commitment of the 100 F-35A Aircraft in 2007. The Presidency of Defence Industries (SSB) was given the authority to order the first two F-35A aircraft with a Block 3F configuration within the coverage of Low Rate Initial Production (LRIP 10) in May, 2014 and in January, 2015 a decision was made to place the order of an additional 4 F-35A Lightining II aircraft. So far, Turkey placed an order of 30 final F-35A configurations (2+4+8+8+8). In late October 2016, the Defence Industry Executive Committee met and approved the Block Buy for 24 aircraft over three contract years. 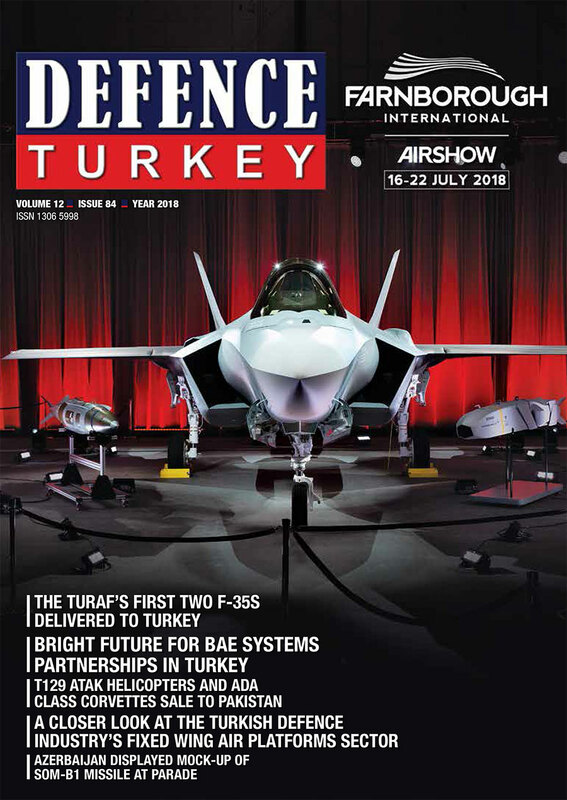 Presently, within the scope of the international production process of the F-35 Lightning II, Alp Aviation, AYESAŞ, Fokker Elmo, Havelsan, Kale Aerospace, Kale Pratt & Whitney Engine Industries, MIKES and Turkish Aerospace companies are assigned. The financial size of the business packages acquired by Turkish companies assigned in the Project is declared as approximately US$12 billion throughout the JSF program. Executing the production activities as part of the JSF/ F-35 Program since the year 2008, Turkish Aerospace assumed the production of one of the most complicated structural parts of the aircraft, the F-35A Waist as the single source, besides the US, and realized its first delivery on December 11, 2013 at the ceremony held at Turkish Aerospace premises to the Northrop Grumman and Lockheed Martin companies that were its customers in the project. The “AT-1 Center Fuselage” of the first F-35 Aircraft of the Turkish Air Forces delivered on June 21, with the tail number 18-000 was delivered to Lockheed Martin and Northrop Grumman at a ceremony held at the TA premises on July 12, 2017 and the “very first Turkish JSF/F-35” launched its test flights with the delivered “AT-1 Center Fuselage”in May 2018 at the facilities of Lockheed Martin. TA is planned to accomplish the production and delivery of a total of 400 waists until the year 2027. Moreover, TA conducts mass production of the Composite Components for the F-35A CTOL, F-35B STOVL and F-35C CV aircraft, and the mass production of the waist sub units, metallic waist components and rear air inlets for the F-35As. The business share remaining low during the Low Rate Initial Production stage is expected to increase gradually especially with the launch of the mass production stage. According to the figures shared by TA, the company is expected to receive an order exceeding US$ 4 billion throughout the program. Kale Aerospace has been supporting the F-35 since 2005. In conjunction with Turkish Aerospace, they manufacture and produce F-35 airframe structures and assemblies. Kale Aero also supports Heroux Devtek as the sole source supplier for all three variants landing gear up lock assemblies. Additionally, Kale Aerospace has also established a joint venture in İzmir with Pratt & Whitney and is manufacturing production hardware for the F135 engine. Moreover, Kale Aerospace is the manufacturer of the most critical structural parts for the Lockheed Martin, with the parts it produces for the F-35s. Kale Aerospace provides support to the program with nearly 500 different hull, wing, cockpit parts and assembly group deployment. Kale Aerospace delivered 58,000 parts in 800 different types since 2010 up until July 2017 and accomplished the delivery of 18,000 parts in 370 types in 2017. On the other hand, within the scope of the JSF program, one of the ten Turkish companies contributing to the production of F-35s since 2004, Alp Aviation is conducting the production of structural components and assembly parts for the main contractor Lockheed Martin Aero, executes the production of the F-135 engine titanium alloy Integral Blower Rotors (IBR) and also the detailed components and assembly parts with a market share of 70% for the engine contractor Pratt & Whitney, nearly 300 landing gear parts for the contractor in charge of the landing gears UTC Aerospace Systems/Landing Gear, fuel pump body units for the sub system contractor UTC Aerospace Systems with its sub systems, and manufactures the brake system parts for the sub system contractor Honeywell Aerospace. AYESAŞ – Sole Source Supplier for Missile Remote Interface Unit and Panoramic Cockpit Display Electronic Circuit Board. AYESAŞ within F-35 Program together with GE Aviation, designed, developed and manufactured one of the critical subsystems of the aircraft the Missile Remote Interface Unit (MRIU) which manages weapons unique interfaces converting them to the MIL-STD-1760 standard weapon interface. AYESAS has delivered more than 500 MRIU ship sets as sole source and also together with L3 Technologies, have also developed various Panoramic Cockpit Display software packages. As being the only Turkish company involved in Software development in the program, AYESAS has carried out validation and verification activities in accordance with DO-178B Level A.
AYESAŞ has been the single supplier of F-35’s Panoramic Cockpit Display Components, Circuit Card Assemblies. More than 600 PCD-EU (Electronic Modules) ship sets have been shipped to date. As a result of successful sustained performance and quality, AYESAŞ has been awarded for the production of PCD Power Supplies as well. Havelsan is anticipated to assume a pioneering role in respect of the development of the Turkish F-35 Integrated Pilot and Maintenance Training Center [ITC] and relative training systems in Turkey in the future. MiKES has supported the F-35 Program during SDD delivering F-35 aircraft components and assemblies for BAE Systems and Northrop Grumman. 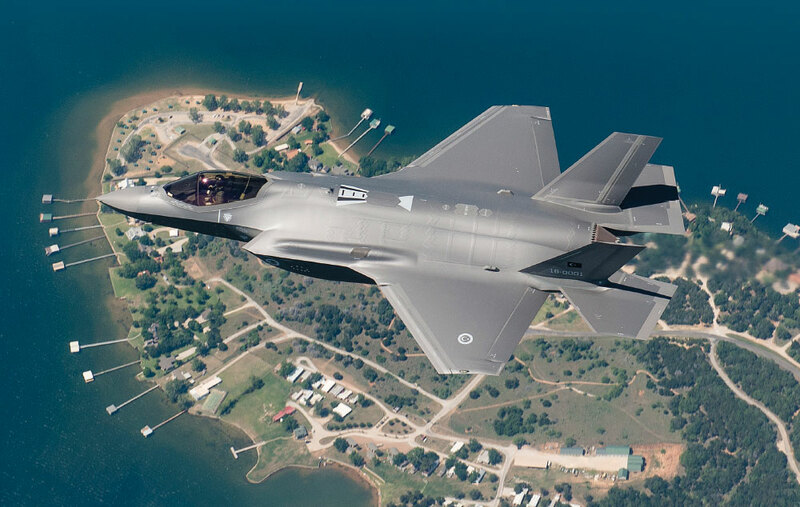 Fokker Elmo manufactures 40 percent of the F-35 Electrical Wiring & Interconnection System (EWIS) and will also deliver and support TA with all center section wiring systems. Fokker Elmo is also developing the EWIS for the F135 engine, for which a major share is produced in Fokker Elmo Turkey in Izmir. Roketsan and TÜBİTAK-SAGE are the Turkish joint leadership team who strategically manage the development, integration, and production of the advanced precision-guided Stand-off Missile (SOM-J) which will be carried internally on the 5th Generation F-35 aircraft. Additionally, Lockheed Martin Missiles and Fire Control has partnered with Roketsan, through a teaming agreement, to jointly develop, produce, market and sell the advanced, precision guided Stand Off Missile. The Defence Industry Executive Committee called upon the development of precision guided smart missiles compatible with the F-35 JSF aircraft in 2012 through national facilities, towards the utilization of the SOM (Stand- Off Missile) developed and manufactured by Roketsan and the design update activities of the SOM-J were launched to this end in 2014. The platform integration activities were launched by Lockheed Martin and as the design activities are being completed presently, the product qualification and integration activities continue. Additionally, Turkish Industry is going to have a significant Industrial Participation role in supporting Lockheed Martin and Pratt and Whitney for F-35 aircraft sustainment and F135 engine production and sustainment. Turkey has been given the approval to build its own F135 engines and was also selected to have the first European Regional F135 Engine depot overhaul capability. Both the engine production and overhaul will take place at the 1st HIBM in Eskisehir. 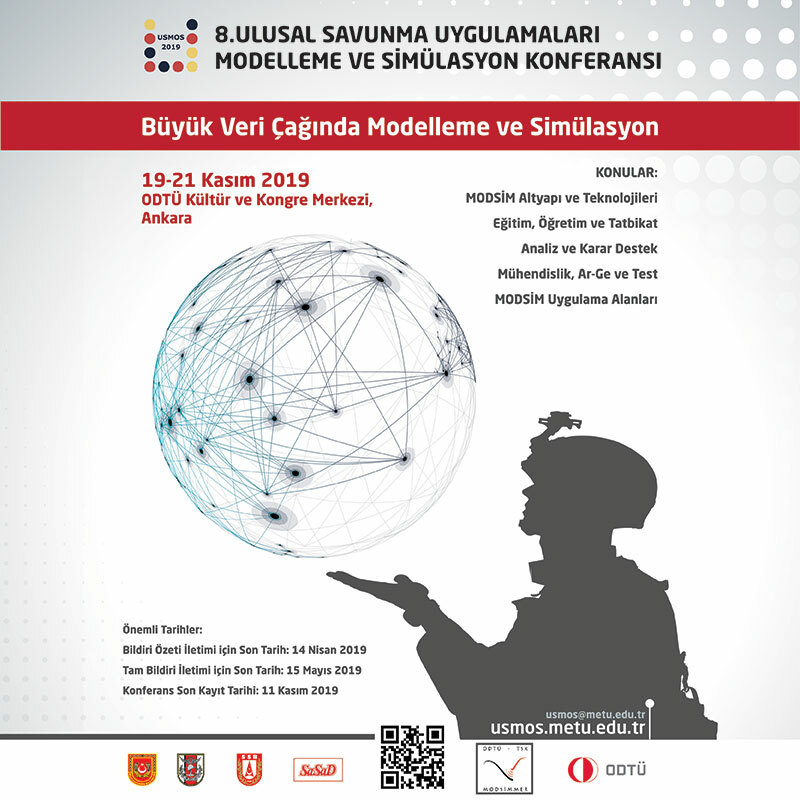 Additionally, TA has also been assigned to represent the organic depots of the Turkish Armed Forces within the Autonomic Logistic Global Sustainment (ALGS) system and Havelsan has been assigned as the Turkish Integrator for the National Integrated Training Center (ITC). Following the Factory Tour, a test flight in accordance with a scenario including the destruction of two air threats was executed at the F-35 flight simulator, accompanied by Mark BOSLEY followed by a conference where the F-35 test pilots conveyed their experiences regarding the aircraft. F-35 Test Pilot Billie FLYNN shared that the F-35 Fighter Jet executed a flight demonstration before the public for the first time in June 2017 and added: “The maneuver capability of the F-35 aircraft has been discussed for more than ten years and there were no positive approaches within this scope. We conducted a demonstration flight of six minutes with the F-35 at the Paris Air Show, and in terms of maneuver capability, we left behind all the performances revealed up to date and became the aircraft with the best maneuver capability within the six-minute flight demonstration. We did not only aim to show off the maneuver capabilities of the aircraft when we attended the Paris Air Show. We wished for everyone to see how good the fighter jet was before they discuss it with us. Actually, we aimed to show what a young pilot candidate could achieve with a fifth generation fighter jet”. Stating that the stealth and center fusion capabilities of the F-35 aircraft stood out in terms of the characteristics, FLYNN continued, “While the stealth capability brings invincibility, sustainability and lethality features, the center fusion enables us the visibility of everything. We are capable of observation in the air, sea and on the land within an area of 300 km from 360 degrees angle over an altitude of 10,000 meters. While the stealth capability brings us invisibility, the power it enables to its user at the combat environment is unbelievable. We are at the very beginning of the life cycle and are newly learning the limits and capabilities of the aircraft”.